i am still plugging away on little projects here and there while i wait for baby. 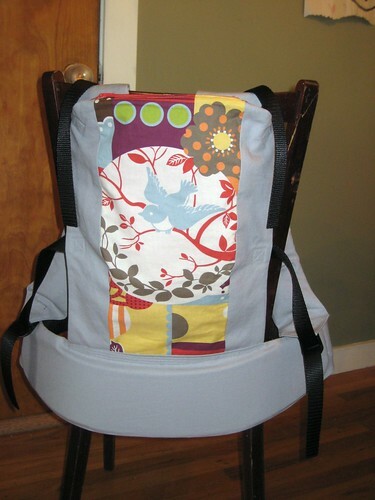 most recently i made a new baby carrier sewn with a fantastic pattern from seedpod craft studio. 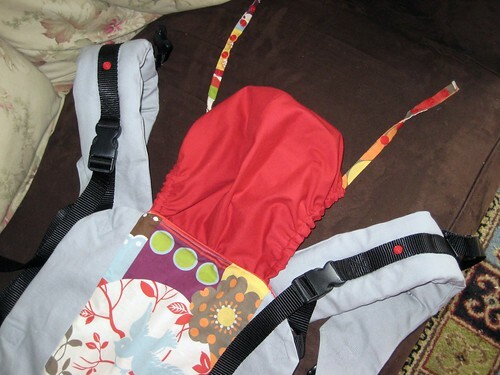 here is the bright red sleeping hood that tucks into a little zippered pocket when not in use. 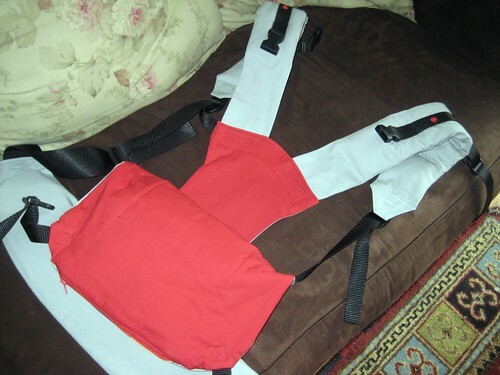 and the bright red cotton lining. i do wish i had better photos to share- once i have a flat(ter) tummy and a new little one to tuck inside i will post some carrier-in-action pictures, for sure! 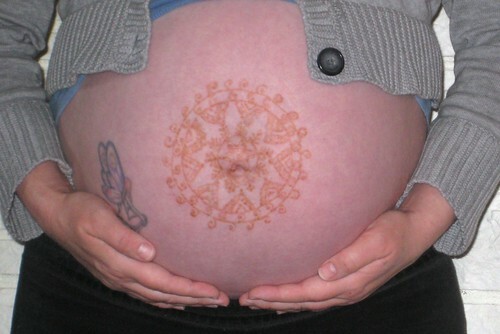 until then, i will be carrying on and patiently waiting to meet this tiny person. 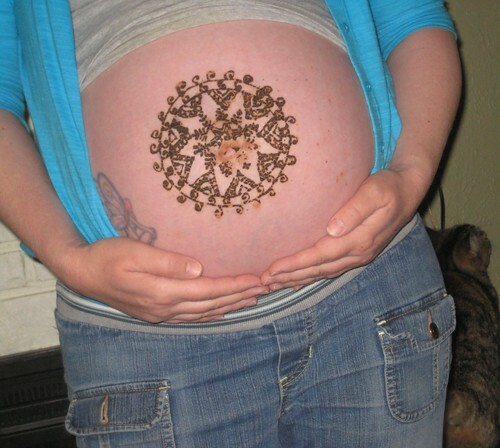 henna by my sweet friend liz. photos courtesy of harper and esme. and one photo from mama... the current view from up here. 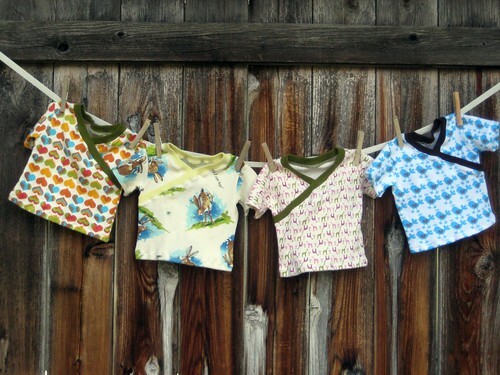 these little tee shirts had been cut out and ready to sew for months- i finally buckled down and stitched them all a few afternoons ago. 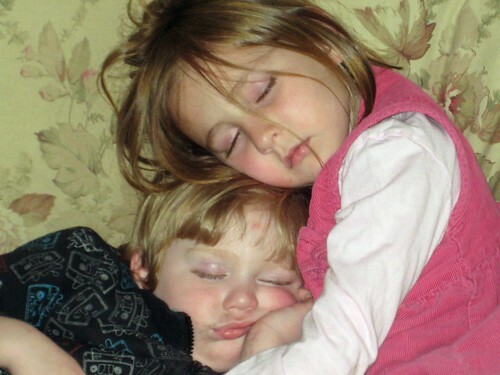 and just look at how sweet!! it occurred to me when i got outside with my camera that i had intended to iron them before taking pictures. and notice how i am not fickle at all about which direction the fronts cross over. 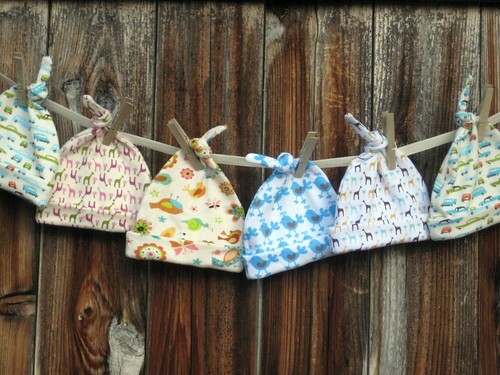 i made duplicates of most of the prints to add to my baby gift stash. and here are the cute little hats to match. again, i made a few extra to pass along to our expecting friends! 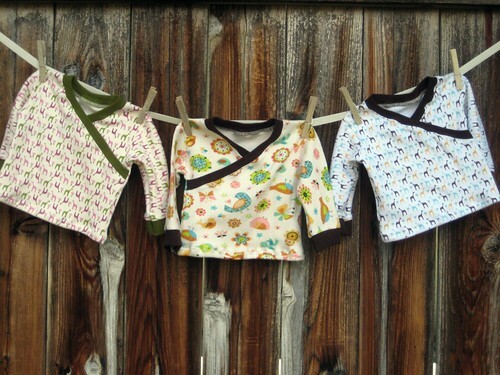 the tees and hats are all sewn from the new conceptions baby essentials pattern. 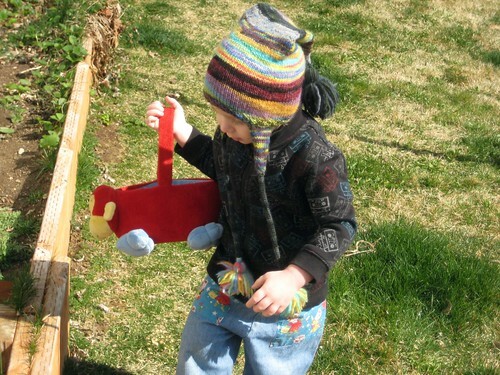 i love this pattern somuch- if you have a little one to sew for go check it out! three weeks to go, three weeks to sew! a couple weeks ago some of my girlfriends helped me celebrate this new baby-on-the-way with dinner and a blessing shower. a wonderfully fun celebration where i had my camera with me but forgot to take it out of my bag! that's right- not one single photo the entire evening. but here are a few of the lovely gifts from my lovely friends! we are feeling very blessed indeed and more ready than ever to meet this little one. 3 weeks or so to go! 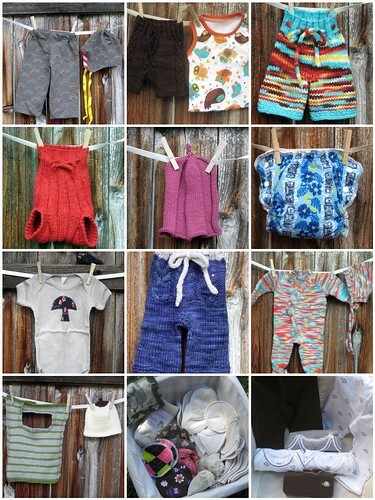 there are a few more photos and descriptions of each gift over here- check it out! we woke up early, anxious to see what the weather would bring. rain, snow, wind, sun- we have had a bit of it all this week. i reminded harper of our plans for the day. "egg funt! esme' wake up! we are going to the egg funt!" esme' emerged from her deep sleep and joined us for breakfast. then the kids were quickly dressed, baskets were retrieved from the closet and peanut butter and jelly sandwiches, enough to share, were made and packed up. before long we were at the easter egg hunt with a couple dozen little friends. 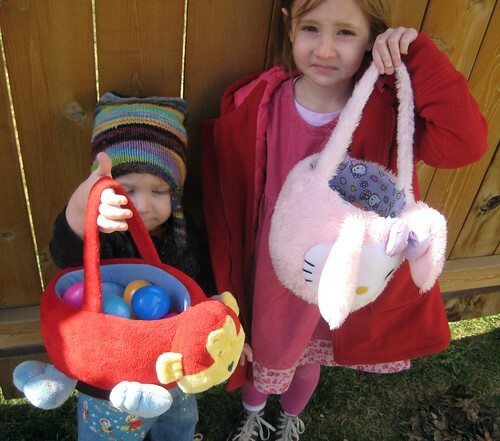 kids filled the house, excitement filled the air and before long colorful plastic eggs filled the baskets. ... home for a much needed snuggle and nap.